Whale Watching Akureyri - Keli Sea Tours: Traditional oak boat. Join us in experiencing the majestic whales by sailing in Eyjafjörður and enjoying the scenery. Take a trip out the fjord to watch the sunset, wildlife or go fishing in a unique setting. This and anything else of your interest you are welcome to contact us. The company is built around three brothers and their boat. A boat originally built by their father and his friends in Akureyri. An authentic experience of sailors, boat builders and whale watchers. We would love to take you out on our traditional oak boat for close encounters with the gentile giants that come to our beautiful Eyjafjordur. 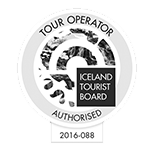 If you are looking for the authentic whale watching experience in Iceland. Be sure to check us out. Áskell Egilsson was our father. he, along with his his colleagues built this boat back in 1975 in Akureyri. In 2015 we got it back and renovated it after almost 40 years of sailing.